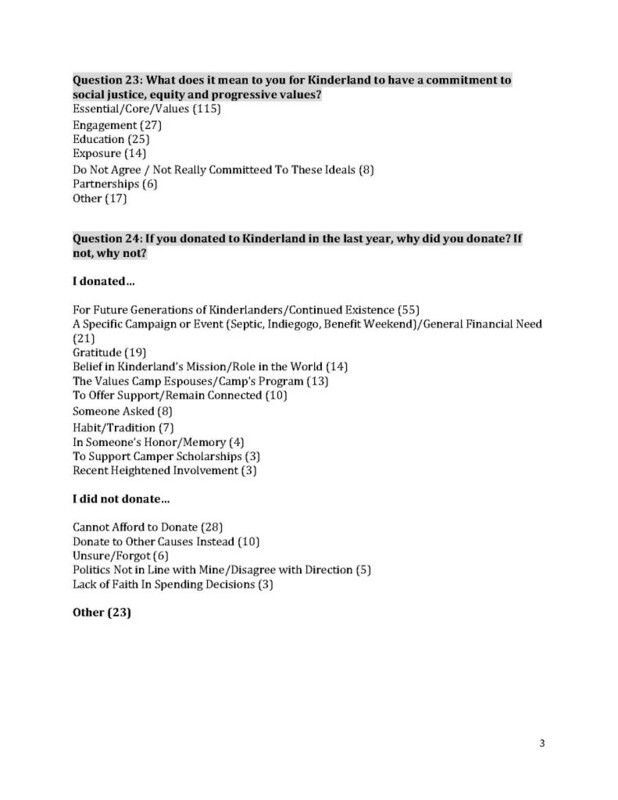 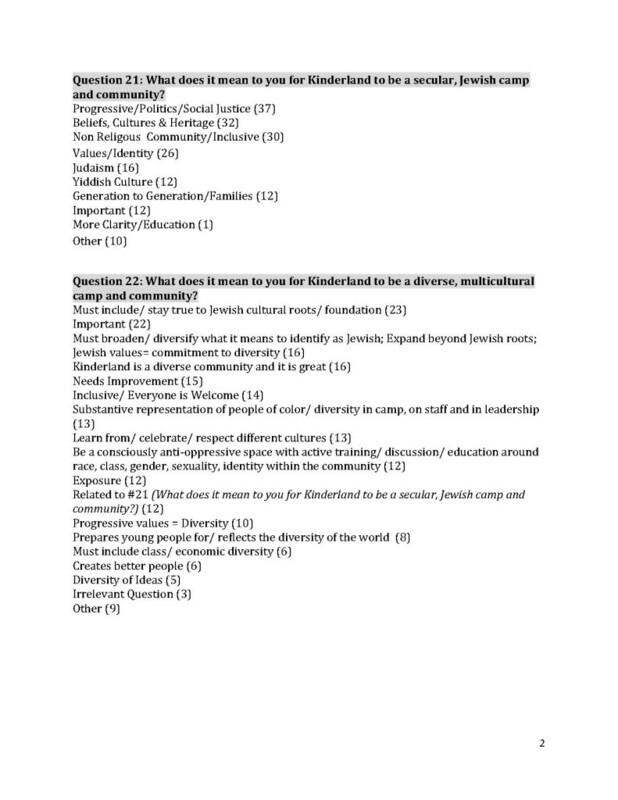 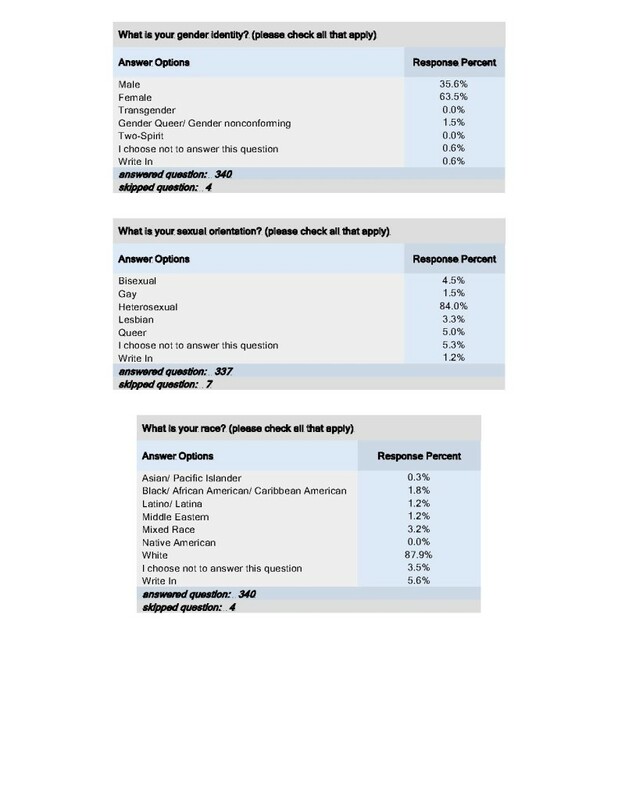 During the spring of 2013, Camp Kinderland conducted the Kinderland Community Survey. 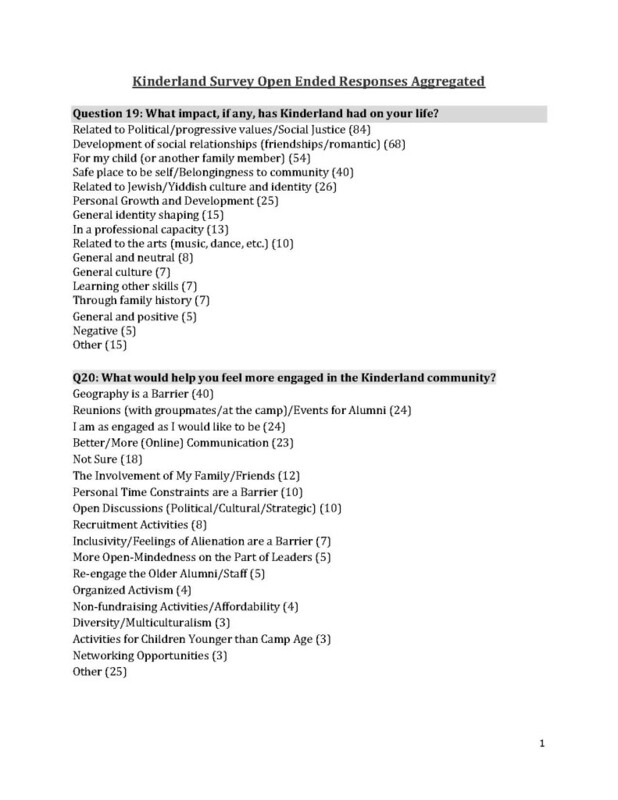 This was an opportunity for the Kinderland community to share your ideas and hopes for Kinderland’s future, your feelings about the impact Kinderland has had on your life, and your interests for engaging with Camp Kinderland moving forward. 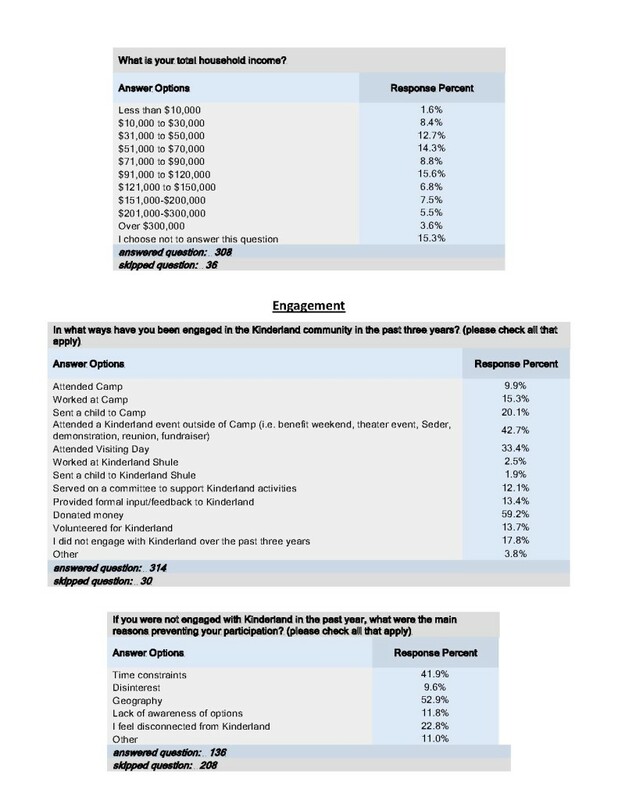 It was also a great way for the Kinderland Board of Directors, administration, and committees to collect feedback and learn more about what interests the Kinderland community. 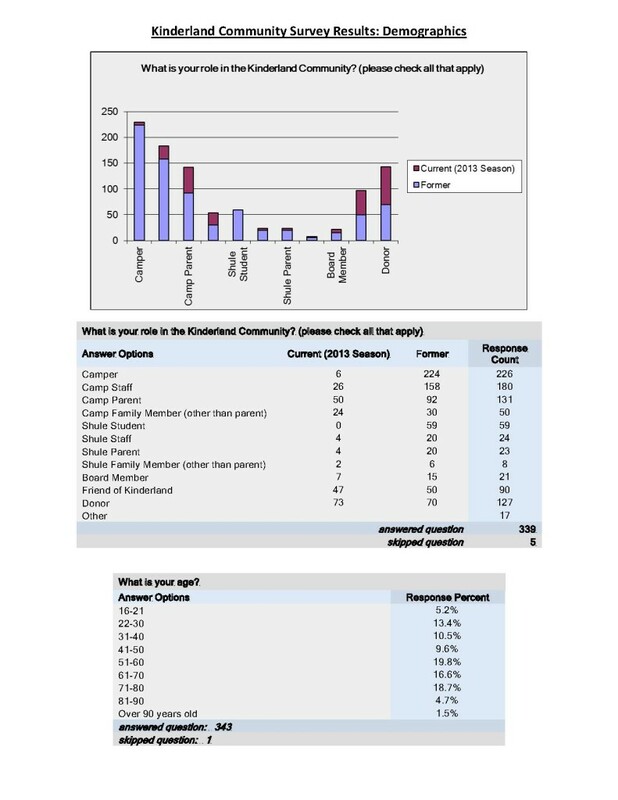 The survey was distributed to about 2200 individuals via email, and about 400 households via post mail. 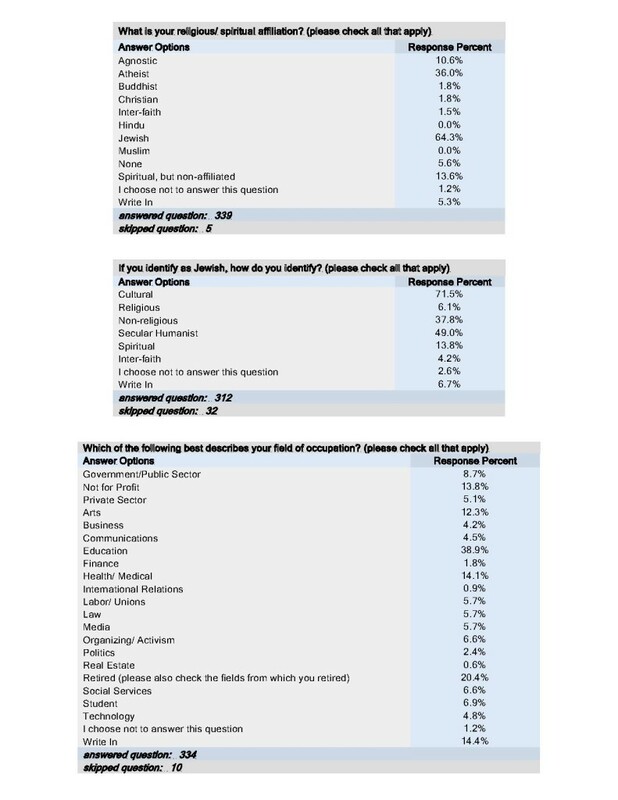 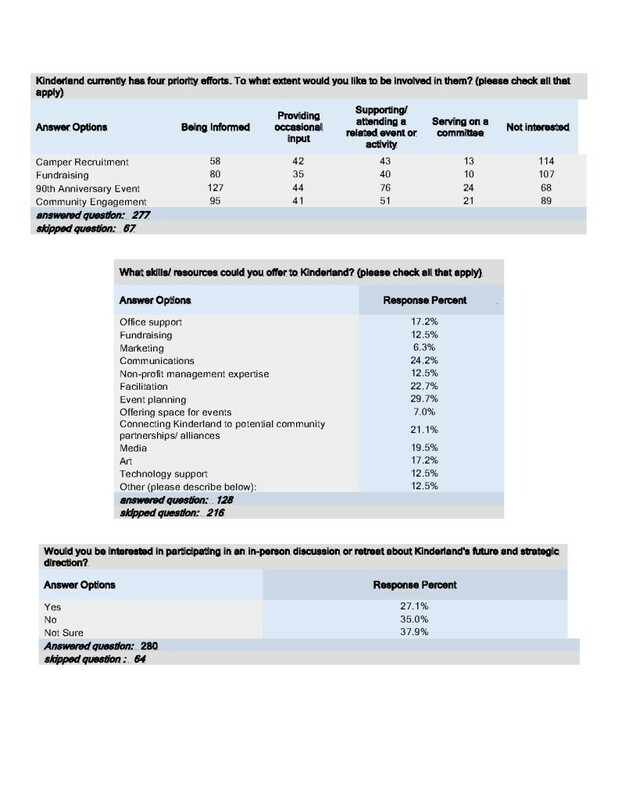 With more than 340 respondents, the survey proved to be very instructive and informative. 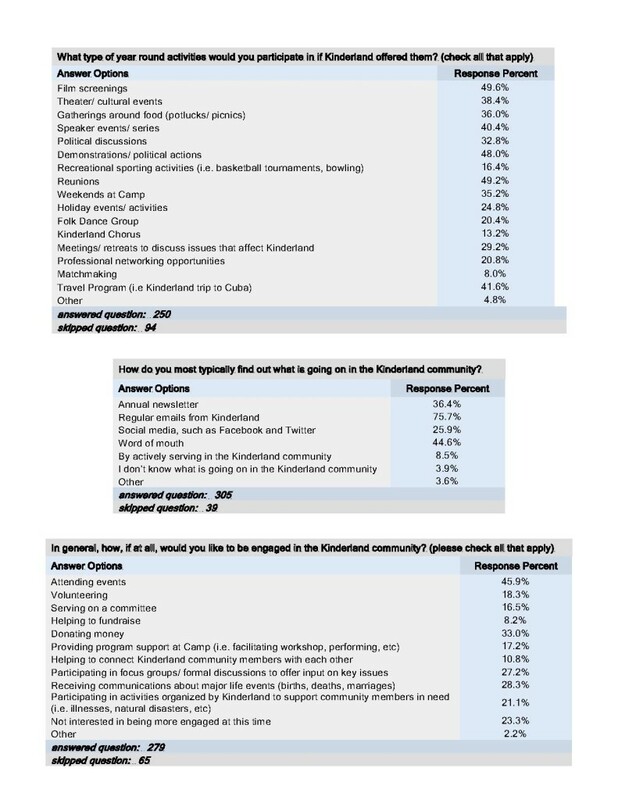 The Community Engagement Committee, a volunteer committee made up of volunteer Board members and community members, organized the responses, pulling out major patterns and trends. 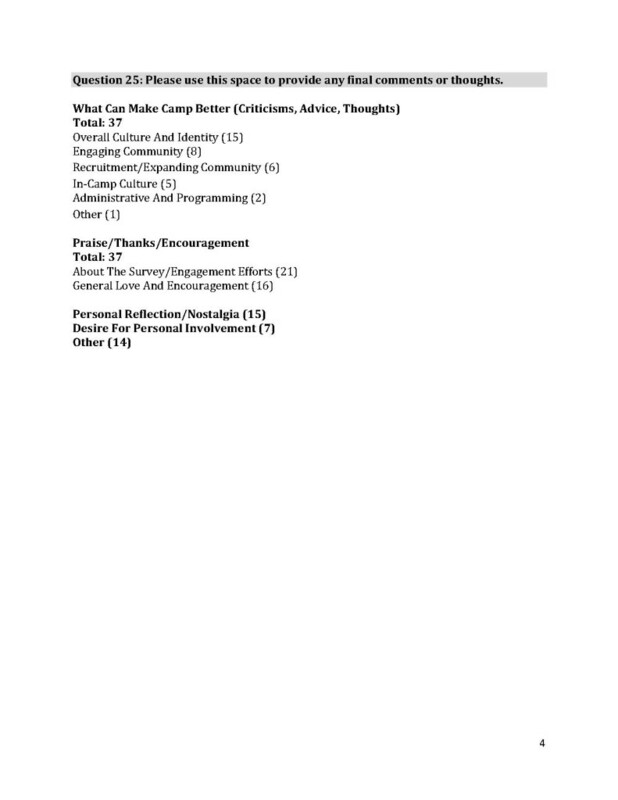 Today, the Board and staff are using this data to identify next steps for new projects and improvements involving Camp Kinderland’s communications, summer programming, community events and discussions, camper recruitment, organizational partnerships, fundraising initiatives, and much more.